Cherrymore Kitchens is one of Ireland's premier kitchen and bedroom manufacturers. Cherrymore has an extensive showroom at Oranmore Business Park where there are 30 kitchens and bedroom displays. Log on to cherrymore.ie to see the revamped website where you can also take a virtual tour of the showroom. Once you take the tour you will know it is worth a visit. Cherrymore offers a wide range of door styles including the on-trend solid ash painted and contemporary handleless kitchens. The company's qualified and experienced designers will help make your dream space a reality. 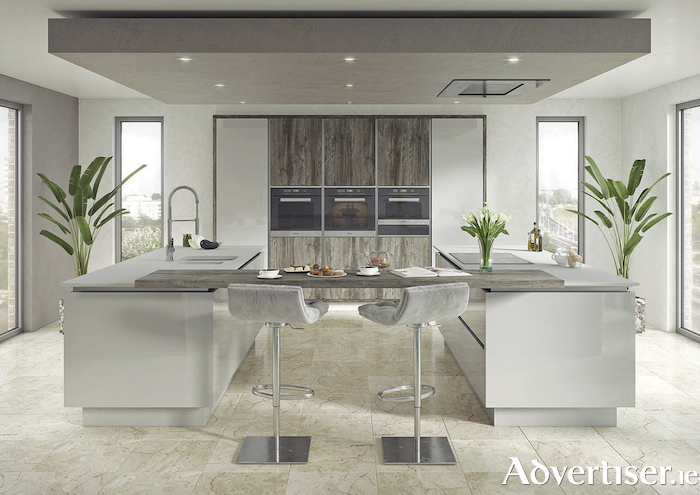 Cherrymore provides a 3D design service which gives amazing photorealistic views of the space. Unlike many of its competitors Cherrymore manufactures directly in its 90,000sq ft factory in Donegal town. You can get a tour of the factory on YouTube. Cherrymore uses the most optimised machinery on the market and the computerised technology guarantees precision top quality finishes. Cherrymore is now exporting throughout Europe and is setting the standard in terms of materials, style, quality, and longevity. Contact www.cherrymore.ie or 091 792209.